I was looking through an edit on a meta post made by another user today, and found it very hard to read. There is limited contrast between the text and the background, and so the only viable option is to select the text. 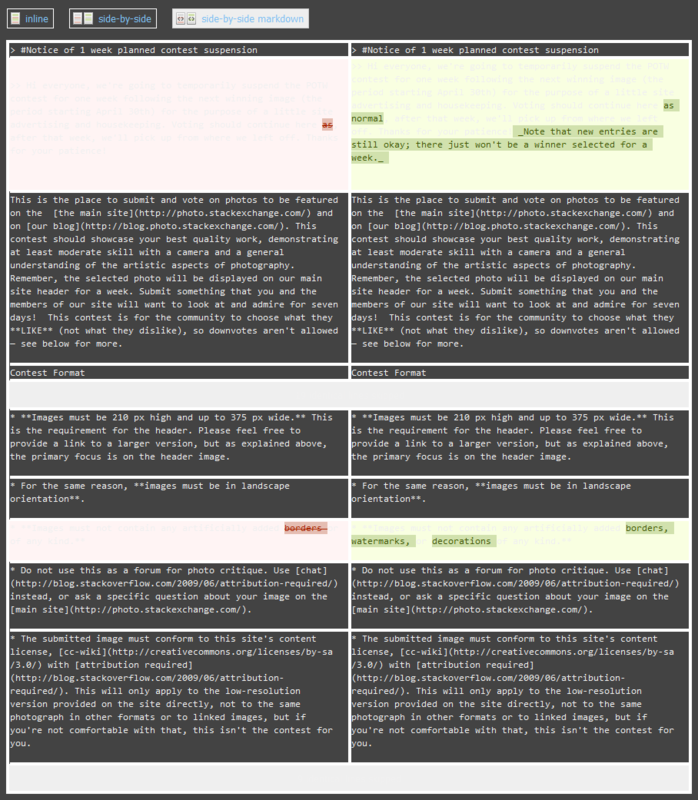 This seems to only effect the side-by-side markdown view, and then, only paragraphs the have been changed, but since it was the markdown that I was interested in, I had no choice but to use this view. Additionally, the "x identical lines skipped" is the same (or a very close) colour to the background. Browse other questions tagged bug design meta themes . Meta site “Flag menu” is unreadable.